Among top zippers,the most elegant & professional looking is recessed or sunken top zipper. So without further ado ...............lets begin. Now you decide how much recessed should your zipper be?????? 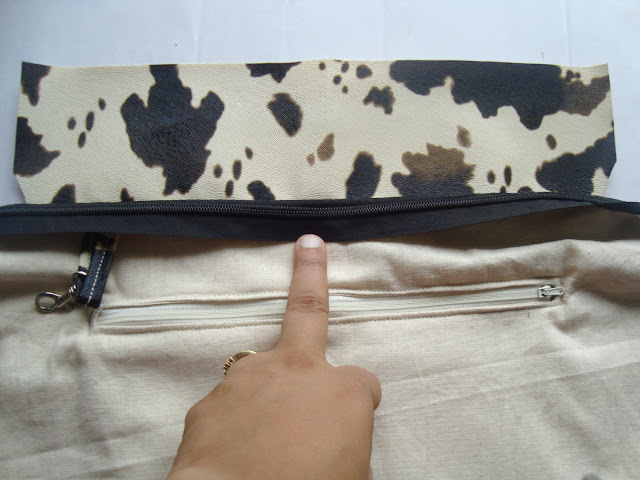 To that measurement add 2 " & cut 2 pieces from the outer fabric with width equal to width of the top of the outer piece.This is what I mean............we will be sewing the zippers & lining to these pieces which I am going to call STRAPS. Cut little angles at the inside ends of theses straps as you can see in the pics above.These angles ensure that the zipper ends don't become bulky. 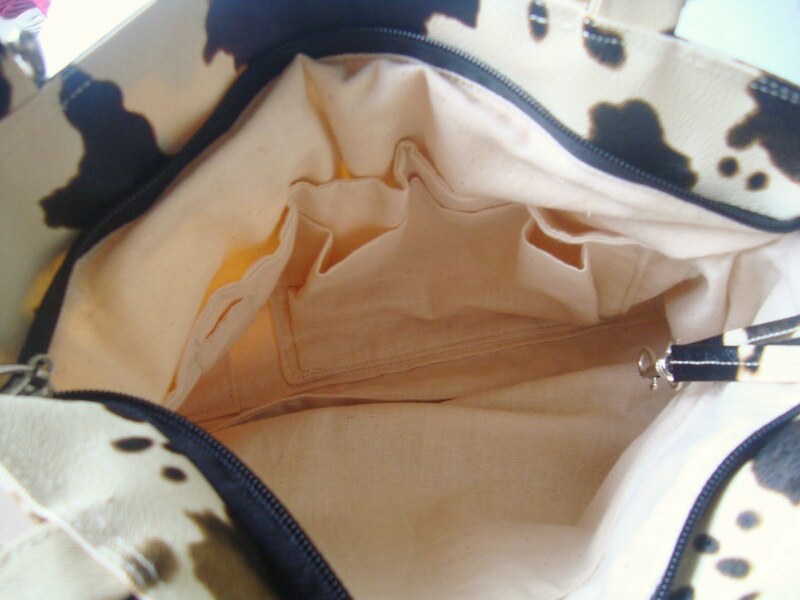 Keep one of the straps on the outer piece & measure remaining outer piece,that will be the size of your lining.So prepare your lining pieces accordingly with pockets .You can add a zippered pocket too!!!!!!! 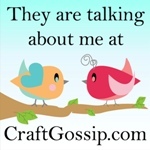 !.................OK yeah,I am crazy for zippers,but once you get the hang of doing it,you will be adding zippers to everything left ,right & center;).Here's how you can make a zippered pocket. You don't want the zipper to be askew even slightly right?????? ?...................so we mark the straps & the zip tape. Mark A 1 cm away from one edge of the strap,C 1 cm from the other edge & B in the exact center of A & C.Repeat for the other piece too.I could not get the entire strap in one pic so I took 2 & have added them in 1 single pic ,so don't get confused seeing 2 B's. Keep the zip on this & mark A,B,C on the zip tape using chalk like this. I generally buy zip tape in bulk & zip tabs separately............so here you can see there is no zip tab,I add it later,you can use a regular zipper with tab in it.I have seen some tutorials which suggest separating the zip tapes & then reassembling them later.................in my experience it is not a good idea for beginners at least.It invariably gets screwed..................sorry for the terminology but that is the fact!!!!! It is much easier to sew with the entire zip tape at once!!!!!! 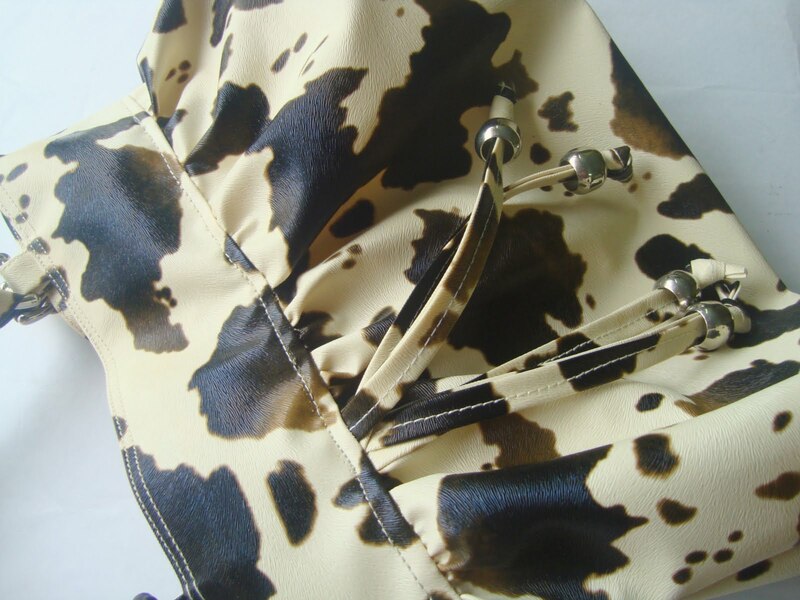 It is OK if the length of the zip is longer,you can always cut it during the final assembly. Now stack the strap ,zip tape & lining piece as follows. Keep the lining piece right side up,the zip tape right side up & the strap wrong side up .Please ensure this sequence,now sew with 6mm seam allowance from A to C.
This will be the result. Probably its clearer to you as to what is shaping up!! Now we have to attach the other piece of lining & the strap to this zip tape.Now you will realize why we marked those A,B,C.Stack up other lining piece as follows. Lining piece right side up,zip tape right side up & strap wrong side up.I have rolled up the lining we attached first for a better view. This is what you will end up with.This pic shows view of both from top side & from lining side. This is the time to attach a zip tab if you haven't already like me,because we will begin the final assembly now. Back stitch at point A & C so that your zip tab will not go flying away ,cut away the extra zip tape & open up the zipper at least a little more than halfway. As you can see now we are ready with the lining too,so all that is left is the final assembly. 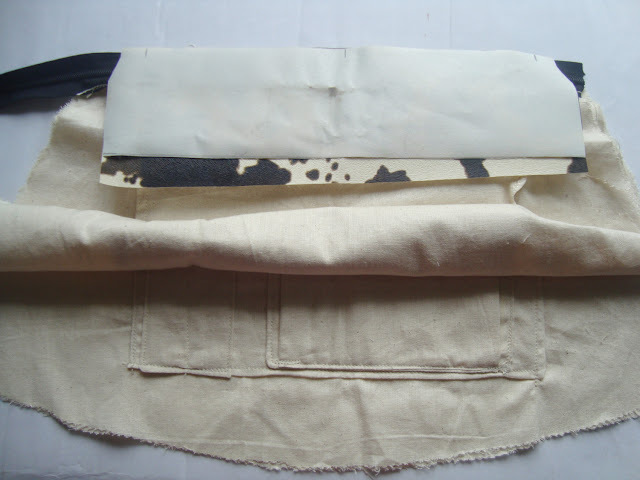 Take one of your outer pieces & fold the top inside as per your measurements,fold the strap too inside as per your measurements & pin them together. Remember to attach the straps at this stage & sew on top.Repeat for the other side too. You all probably know the final assembly but I will still write it down for newbies & not so sures. Join the outer pieces right side together & sew all around.Gusset it. Join the lining pieces right side together & sew both the corners .Sew a few inches (enough to gusset) on both the bottom corners of the lining & leave at least 6" at the center of the bottom unsewn to turn the bag right side out. 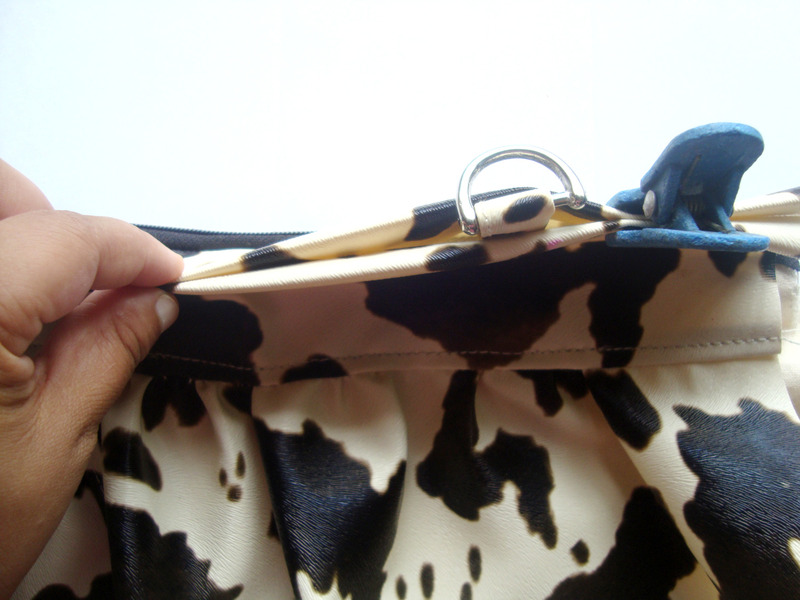 This is why we left the zipper half open or else you are in for a lot of manoeuvrings to turn the bag!!!!! Once you turn it right side out,sew the gap shut in lining & push it inside the bag. 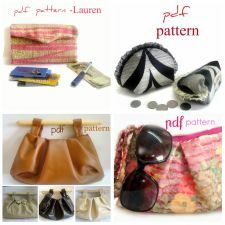 So you are now ready to rock it with your brand new zippered purse!! 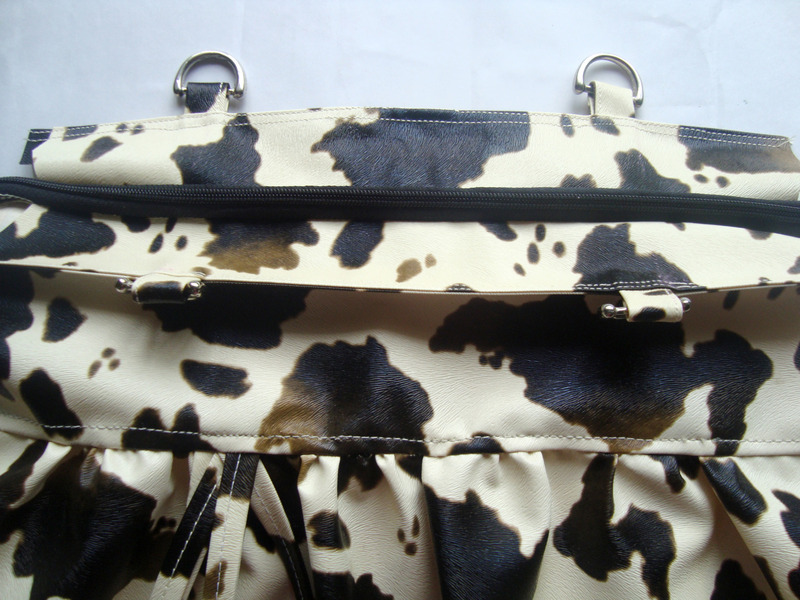 Or if you don't want to get in the hassle of doing all this ,you can simply buy this purse from here. What do you mean by: "Keep one of the straps on the outer piece & measure remaining outer piece,"? 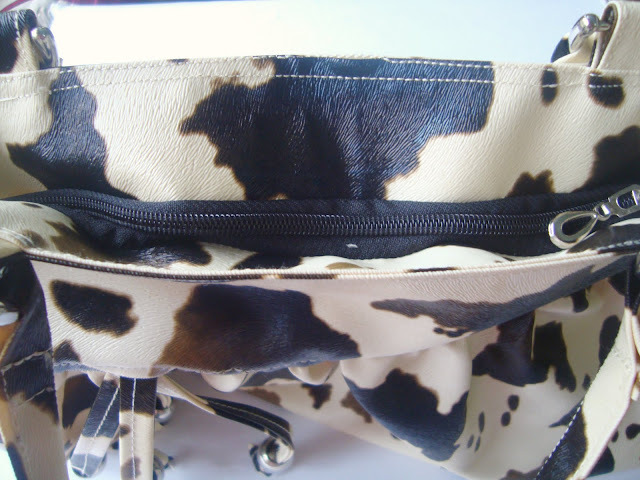 hi kritien.........if you have made purses before you will know that usually inner lining & outer pieces are equal,but here as the zipper is recessed,inner piece has to be smaller than outer piece.For eg the outer piece is 10".......you are adding 2" of strip attached to the zipper.So your inner lining piece will be only 8",so when you attach zipper to it,the inner piece now becomes 2" of strap + 8" of lining =10". I'd like to see the sides. I didn't quite understand how you finish the ends of the zipper. I got lost at the word "gusset". I don't quite understand how the zipper ends are done at the finish, either.